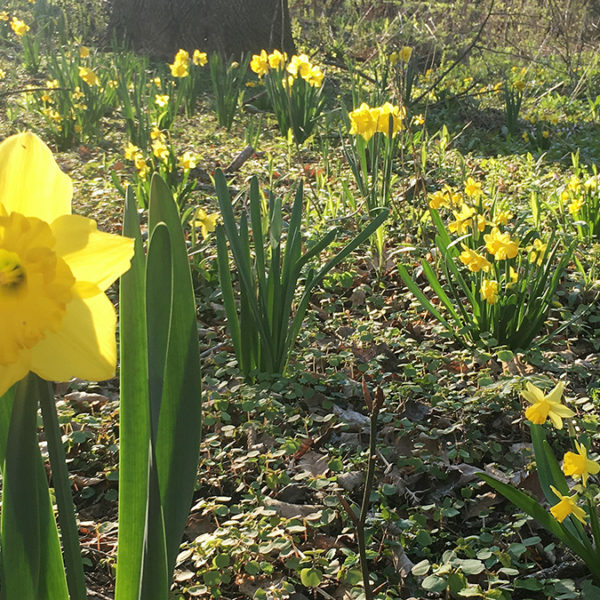 It’s been awhile since I’ve shared an update of what’s happening in the garden here, roundabout six months or so. I’m quite happy to report there’s something to report. Mind you, none of this is earth-shattering, but sometimes when I’m busy writing about fake plants or gate colors, the little things happening in the garden get forgotten. Frankly, there’s very little happening the garden. There’s still no sign of the winter aconites, which I took a picture of last March 28. 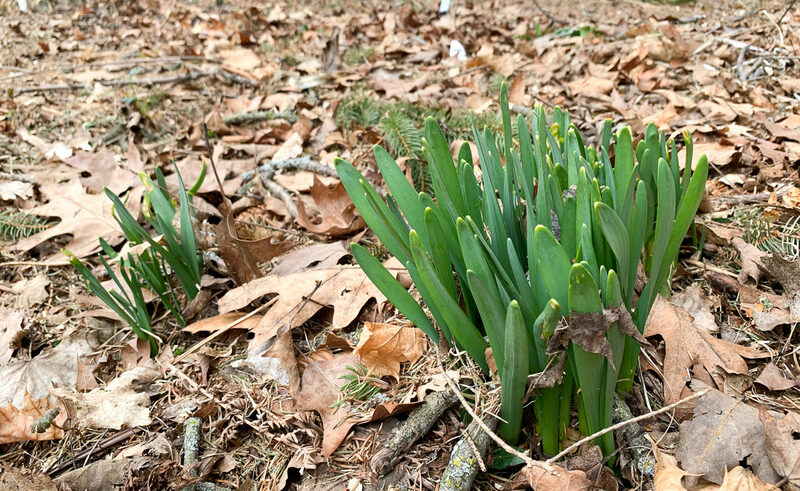 The earliest daffodils are just pushing up out of the ground but it will be some time before they show any color. 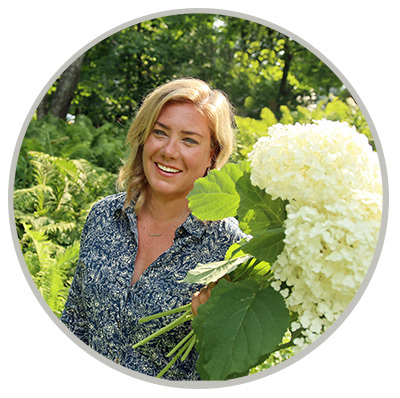 The only pruning I’ve done is on the hydrangeas (here’s a video I made about it). It still seems a touch early to do the clematises and roses. I like to wait until there are fat, swelling buds before I do those. Speaking of roses, someone asked me the other day when I would take the rose collars off and the answer is any day now. We’ve got some cold weather (with talk of the “S” word) in the middle of the week, so I think I will wait until after that. Most of the canes that were exposed appear dead, but I’ve peeked in there and see swelling buds lower, so it’s likely they’ll all be getting a hard pruning. I’ll remove the rose collars soon, perhaps next weekend when the word “snow” is no longer in the forecast. Pretty much all of the canes above the rose collars appears to be dead. 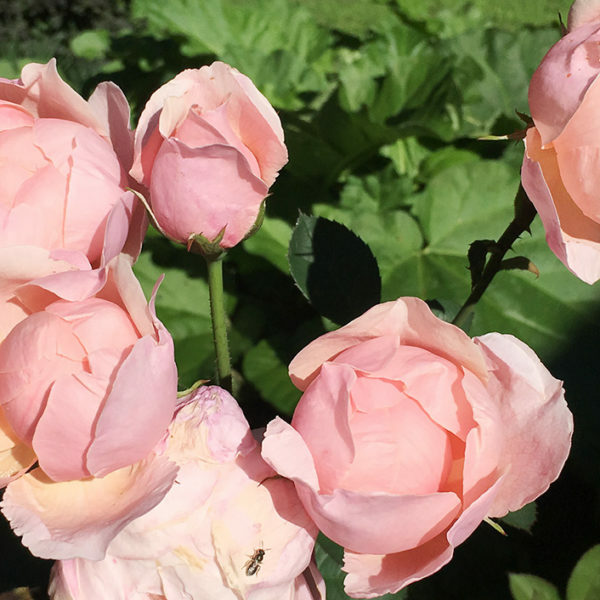 I lost one of my ‘Alnwick’ David Austin roses last winter (2017-2018) but I was late to report the loss to the company (did you know that David Austin guarantees roses bought from them for five years?) so they sent me a replacement this year. It came last week, which is good for a lot of zone 5 areas, but really early here. I potted it up and I’ll grow it on for a bit before planting it in it’s official home. Keeping it in a pot allows me to baby it a bit and move it easily under cover if it gets quite cold. I haven’t really started cleaning up the garden yet. In fact I’m trying to hold off a bit to be kind to critters, but it will need to be done soon just because the garden tasks stack up quickly when the weather does decide to get nice and stay nice. Down in seed-starting land (my basement) things are green and growing. In fact some things are growing so well that they need to move out. I’ve started the process of hardening off my onions and a few cells of mesclun I sowed inside with hopes of planting them out very soon. 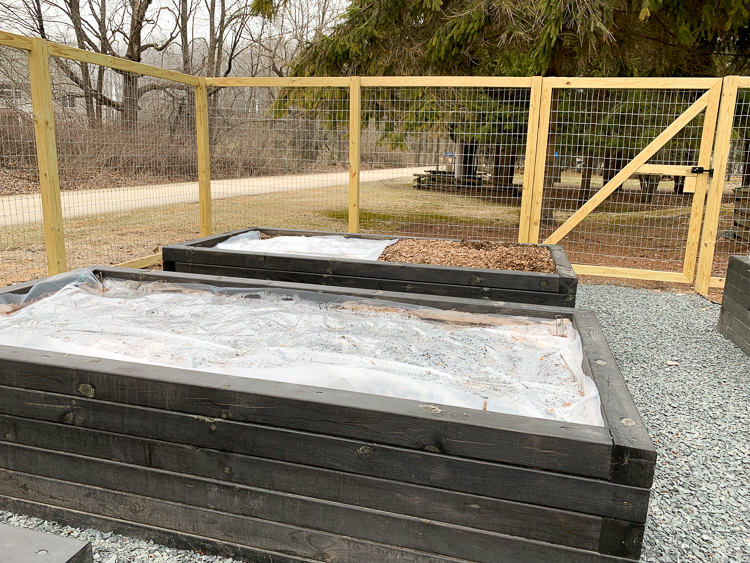 I’ve had plastic on the vegetable garden beds to help warm the soil for a couple weeks now and the soil is warm enough for those cold-tolerant plants. The onions spent a few hours outside this weekend to begin the process of hardening off. I hope to plant them out next weekend. 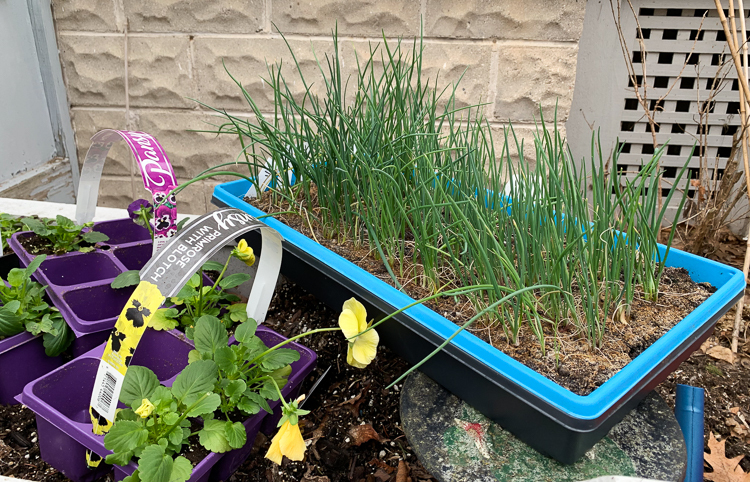 Plastic is helping warm the soil in the raised beds. It’s a big seed-sowing week so I’ll need the room under the lights and on the heat mat. There’s a huge list of plants that I should be starting now, including tomatoes but I need to move some things around to be able to fit more. This happens every year, and I always figure it out, but some warm weather would certainly help. 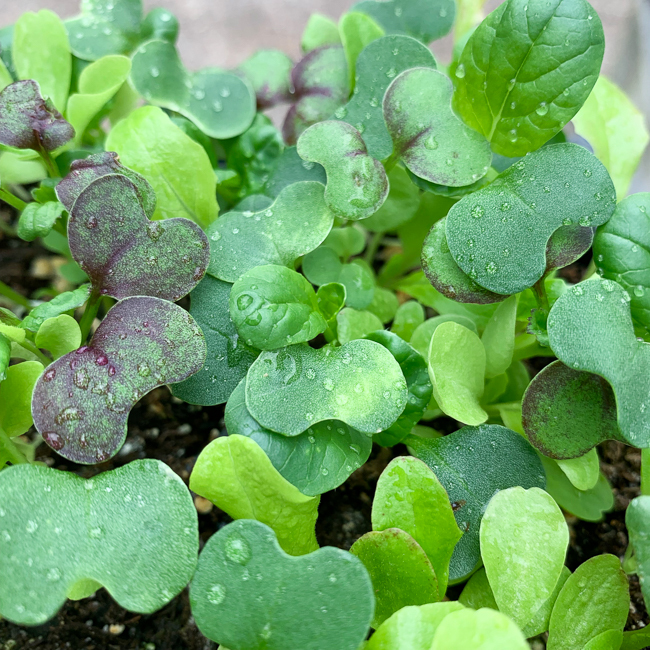 This mesclun will go out soon and we’ll be eating fresh salad from the garden in no time. Perhaps the most exciting gardening-related news around here is that an order of dahlias and eucomis is arrived this weekend from Longfield Gardens. I can’t wait to start getting them potted up and get them growing. I found that when I was looking for information too, Georgina. At this point all I’ve done is planted them and I pruned out the tips of some branches, hoping to encourage more fullness, but that’s all I’ll do this year. 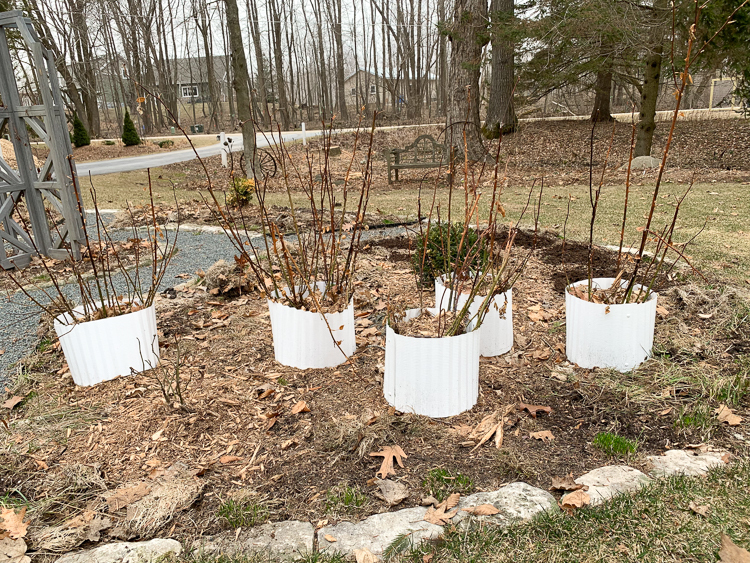 When they are a little taller than where I want the finished height, I’ll prune the tops down by 6-12 inches, but for now I think they just need to grow. I’m hoping they have a good year. My goal is to just encourage full growth for now to begin the process of creating that “wall” and then I’ll get into the nitty gritty of pruning a bit. If you want to do almost an espalier type thing, then you have to build a framework of bamboo (or whatever) poles to train the branches along. My thoughts are i don’t want to tell how beautiful it is in Seattle right now, just to say hang in there spring is worth the wait. Thank you for sparing me that, but I’m glad you’re enjoying some beautiful weather! Warm weather is coming so soon! I hope the snow skips you. We’re supposed to get like a foot of snow on wed-thurs. I am not amused. I have lots of bulbs and perennials popping up. 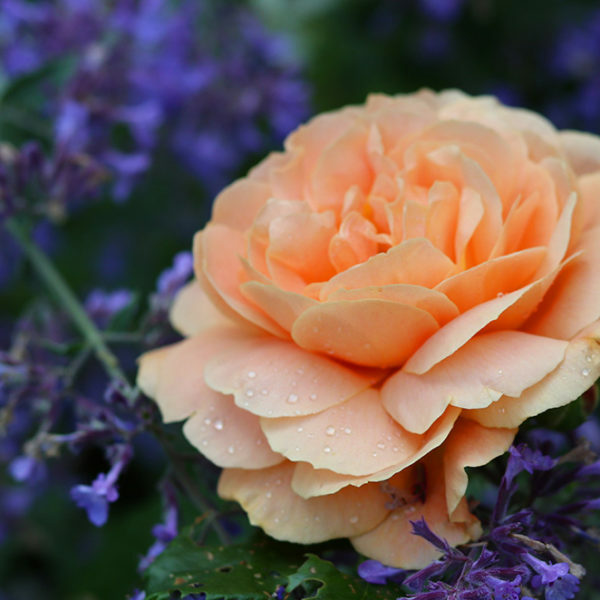 My rose has lots of fat buds that are ready to burst anytime. The sem false spirea is starting to leaf out and the grass is greening up. I love spring. Snow in the forecast for Wednesday here too. I refuse to acknowledge this. I love those false spireas! 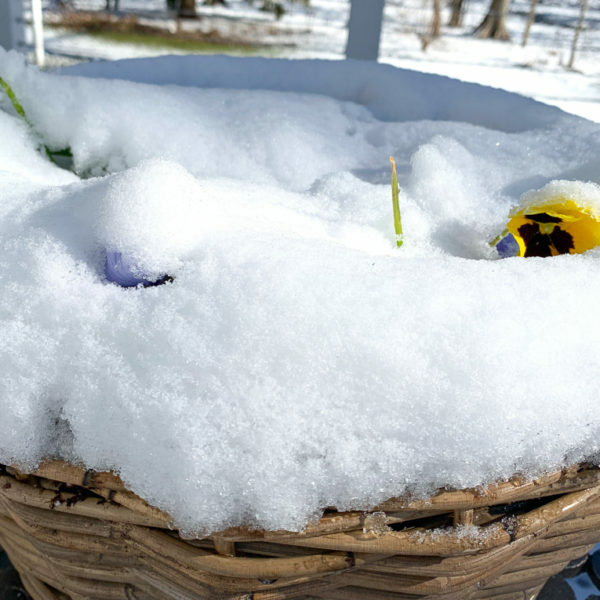 Out here in the Seattle area, we went from huge amounts (for us) of late winter snow, followed by a hard freeze, and then into full spring overnight. The hard freeze wiped out half my spanish lavender, so I am replanting that. I got my boyfriend to build a fortress around a maple and a dogwood that have been relentlessly browsed by deer the last couple of years. I am hoping the trade off of looking at GIANT UGLY TREE CAGES for a couple of years will pay off with nice big trees. Other than that, it’s still just grunt tasks: spreading compost on the lawn, first real pass at weeding, ripping out anything that froze out, general cleanup. 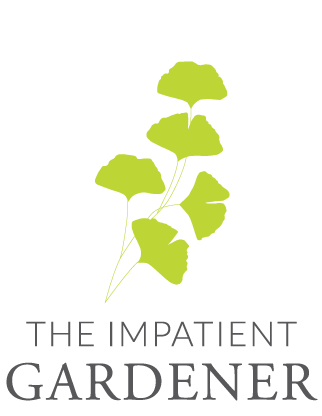 I’m still waiting to see if anything successfully self-seeded before I go adding to my main garden this year. I’ve also been very slow about removing any leaf mulch coverage from last fall on most plants. But Hellebores are pushing up and a couple are blooming. My Martagon lilies are all up a few inches which always amazes me. They are always really early. And my species peonies are up so high that I will need to put those white Menard’s buckets over them if it really snows hard or goes below freezing. I am glad it is a bit slow getting started as I am as well. Trying not to overdo it physically.